The organic alcohol we use comes from sugarcane that's organically grown. Ripe sugarcane is cut by hand, then fed through a grinder to extract the juice. The juice is left to ferment for 24 hours and then heated over a fire to distil the alcohol. CADO is a co-operative of over 200 smallholder family farmers. Our trade helps give members control of their pricing and production schedules, providing stability to a community that had previously been at the mercy of unscrupulous traders. 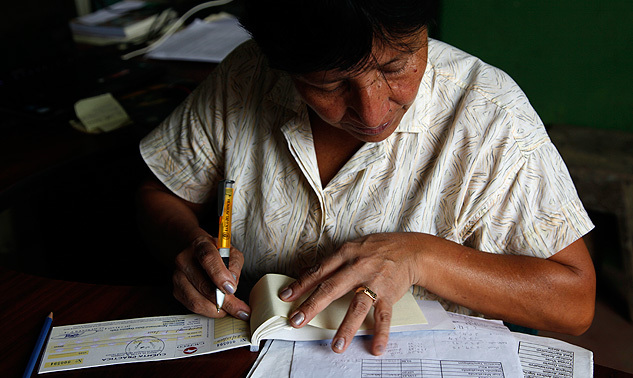 Families now have a steady income to help pay for food, health and education, and to plan for the future. Ecuador's natural ecological diversity is being threatened in two important ways. First, by the growth of huge, monoculture farms that supply large sugarcane refineries. And secondly, by some farms' use of 'slash and burn' techniques to clear land for crops. There are limited employment opportunities in Cotopaxi and the majority of alcohol produced here is sold at only 75% of what we consider a fair price. 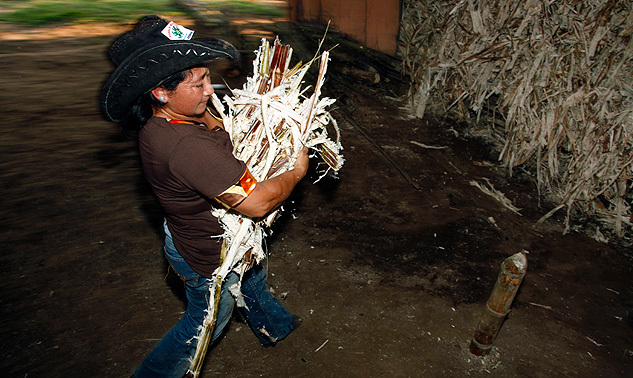 Manuel Tasichachan's family has been growing sugarcane for generations. Having more control of his own pricing has given Manuel confidence in his business. He hopes his three sons will carry on the family tradition. The Body Shop was CADO's first international customer and our collaboration has been a real success. Part of our relationship includes helping the co-op to find and develop other commercial business customers for its farmers. The CADO farmers believe that their organic methods of growing sugarcane help protect the natural biodiversity of their farmland.